This place is quite large. More than 100 people here. The noisy pub becomes a noisy restaurant at the back. I’m being difficult. Everything so far is mundane, or contains beer. Service excellent. Waitress persisted through my numerous rejections of her food suggestions. With a tomato-based sauce, and soft polenta. Out of polenta. Will be vegetables instead. It’s not good when your special isn’t entirely available. Was pleased to see that my “vegetables” were somewhat fancy. Was expecting bowl of steamed mixed veg. 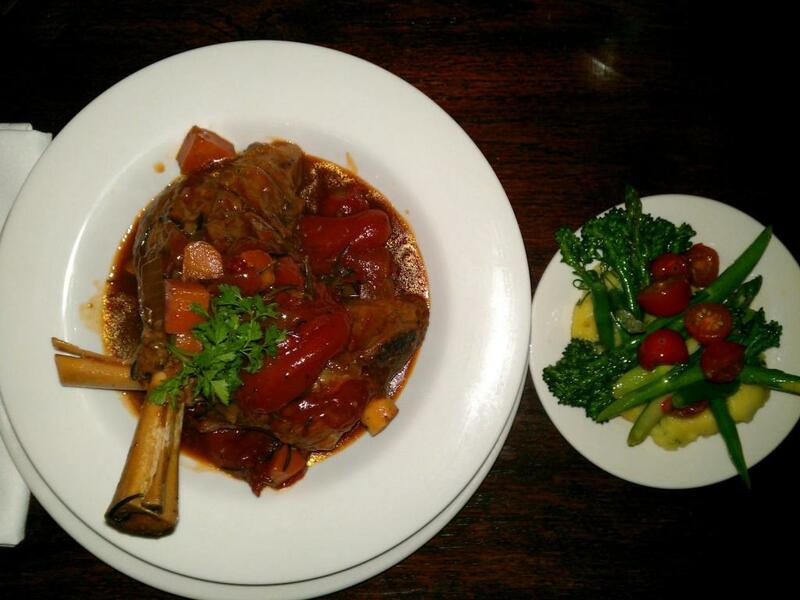 The lamb shanks were very large, but I eventually hoed through them. They were tender and tasty, but probably lacked salt. The chunky tomato and onion sauce was very rosemarily flavoured, but the many little leaves of rosemary were a nuisance. 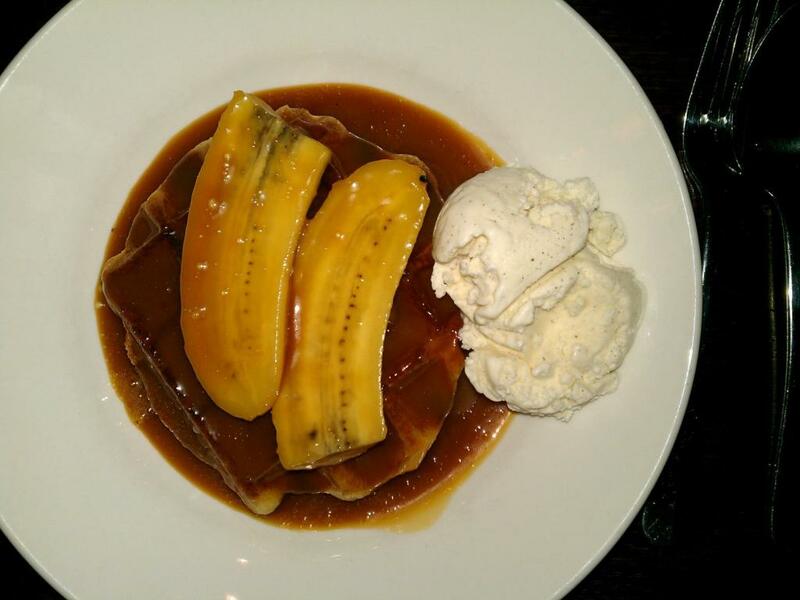 Belgian waffles with warm banana & caramel sauce, and coconut ice cream. Wooden chair has uncomfortable back strut. The waffle was big and chewy. I would’ve liked a steak knife with it. The banana on top was perfectly soft. It had the sweet, super-bananaey taste that cooked banana should have, but without being a sloppy mass. The caramel sauce was a little bit too plentiful and strong, but it could easily be ignored. If I’m still scraping the dessert off a plate after it’s finished, it probably warrants an 8.